A draft "priority work" list for the Bureau of Land Management calls for increased attention to "securing our borders," an apparent reference to President Trump's proposal to complete a wall along the U.S.-Mexico border. Photo by Scott Nicol, courtesy of the Sierra Club. The Trump administration is developing a "priority work" list for the Bureau of Land Management's 10,000 employees that calls on the agency to focus on permitting oil, gas and coal projects and securing the U.S.-Mexico border, presumably through construction of a wall, according to internal documents obtained by E&E News. The draft five-point "BLM Priority Work" list, which sources say has not been circulated yet to staff, was written by BLM administrators and reviewed by members of the Trump administration's "beachhead team" of temporary political officials who assumed key Interior Department roles after the inauguration. The priority list was "assembled by the team at the BLM to clearly lay out our continued commitment to ensure opportunities for commercial, recreation and conservation activities on BLM-managed lands," Megan Crandall, an agency spokeswoman, said in an email. A senior BLM official said the priority list was not an edict from Interior Secretary Ryan Zinke. "This is certainly not a prescriptive mandate handed down to us," the official said. But the draft priority list takes aim at almost every Obama-era federal lands management initiative, from landscape-level planning to livestock grazing, and is sure to be criticized by Democrats and conservation groups. While the draft document lists expanding "wildlife conservation opportunities" and increasing "maintenance and capital improvement projects" on federal lands, its clear objective is increasing energy development. It calls on BLM to streamline federal coal, hardrock mining and oil and gas "leasing and permitting" processes. The priority list tells BLM to ease unspecified "processes" mandated by the National Environmental Policy Act (NEPA) and to streamline "land use planning to support energy and minerals development and other priorities," including "rights-of-way processing for pipelines, transmission lines, and solar/wind projects." In addition, BLM is developing a "Key Messages" strategy to be used by the agency's "leaders" and communications officials when "communicating decisions, announcements, or emerging issues" to agency staff, members of Congress and the public. In each case, the draft Key Messages document says, the agency "should emphasize to the full extent possible the BLM's multiple-use mission that ensures opportunities for commercial, recreational, and conservation activities on public lands" — a clear swipe at Obama administration policies that Republican leaders have long criticized as prioritizing conservation over other uses. The document also makes clear that the "thematic messages" in the five-point priority plan "highlight how the BLM mission addresses the [Trump] administration's priorities." "These messages should be used broadly as you and your staff prepare internal and external communications products, including press releases, talking points, printed materials such as pamphlets," the document says. "They should also be used as appropriate when conducting Hill visits or meeting with other stakeholders." The draft priority work list clarifies the Trump administration's stark, if not surprising, departure from the Obama administration's public lands management policies. President Trump has already called on federal land managers to remove obstacles to new energy development. Trump has ordered BLM to "expeditiously" rescind its hydraulic fracturing regulations and review its methane venting and flaring rule (Climatewire, March 29). And Zinke last month ended the moratorium on new coal leasing, revoked the department's policy on offsetting development impacts on natural resources, and ordered a review of all its rules on climate change, mitigation and energy development (E&E News PM, March 29). Climate change is not addressed in the draft priorities list. "Making America Safe Through Energy Independence," which calls for the agency to reduce the "backlog" of oil and gas applications for permits to drill. It also directs the agency to "streamline" the federal leasing and permitting process for coal, as well as for oil and gas, hardrock mining and "rights-of-way processing for pipelines, transmission lines, and solar/wind projects." "Making America Great Through Shared Conservation Stewardship," which urges the agency to "[e]mphasize BLM's multiple-use mandate through strategic communication efforts and educational outreach." It also prioritizes reducing the number of wild horses and burros on federal rangelands in the West, and calls on the agency to "develop and implement priority habitat improvement projects." 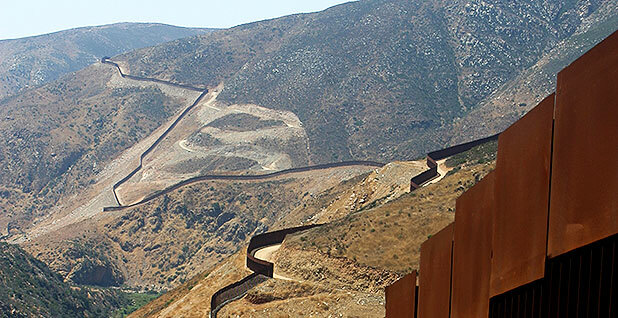 "Making America Safe — Restoring Our Sovereignty," which directs the agency to facilitate security projects along the U.S.-Mexico border by prioritizing the "clearance and approval process to support" actions in the region and to coordinate with the Department of Defense "to ensure that public lands and resources are available to support the mission of our military." "Getting America Back to Work," which directs BLM to "streamline land use planning to support energy and minerals development and other priority initiatives," including moving to "[i]mprove and streamline land use planning to support energy and minerals development and other priorities." This section also calls for streamlining "NEPA processes" and stresses increased "efficiency of compliance activities" associated with the Endangered Species Act, National Historic Preservation Act and Clean Water Act. "Serving the American Family," which among other things would prioritize streamlining "the grazing permit process" in an effort to "provide more flexibility to the American rancher." This section also directs BLM to expand "recreational, hunting, and wildlife conservation opportunities." The priority list does not address a number of Obama administration priorities. For example, it does not directly mention the issue of the greater sage grouse and the role that federal grouse conservation plans will play in preserving the imperiled bird and its dwindling habitat. The only possible reference calls on the agency to work "with partners to develop and implement priority habitat improvement projects." But renewable energy is listed in the draft priority work plan. The Obama administration viewed the expanded use of solar, wind and geothermal power as a key strategy for addressing climate change. Obama's BLM placed renewables development as a top priority, approving 60 commercial-scale solar, wind and geothermal power projects capable of producing 15,500 megawatts of electricity — enough to power more than 5 million homes. The draft working priority list calls for making "additional lands available for 'all of the above' energy development," which includes "solar/wind projects." The draft documents do not specifically address President Trump's controversial proposal to build a massive new border wall along the United States' southern boundary with Mexico. But they do address the need for BLM and others to prioritize efforts "securing our borders." The Key Messages document designed for BLM leadership and communication's staff states that "BLM works to promote safety, security, and environmental protection of the almost 200 miles directly along the international boundary in New Mexico, Arizona, and California." Among BLM's key goals, it says, is to "provide [a] safe and secure environment for the public, employees, and public land users and to protect public land resources from the effects of smuggling." It adds: "We also recognize the objectives of securing our borders and conserving our Federal lands are not mutually exclusive. We must do both." Most observers agree that building the wall and protecting the environment will be difficult. A large and impenetrable wall, for example, could cause problems for migrating species like jaguars, which the Fish and Wildlife Service first listed as endangered in 1997. Zinke told members of the Public Lands Council last month that the Department of Homeland Security will issue an Endangered Species Act waiver on jaguars, which are found primarily in northern Mexico and parts of the southwestern United States. Such an ESA waiver would enable the building of the "great, great wall" that Trump has promised in jaguar habitat that is currently protected from "destruction or adverse modification," Zinke said (Greenwire, March 28). The Key Messages document also addresses public lands management objectives set by Republican leaders in Congress. Rep. Tom McClintock (R-Calif.), chairman of the House Natural Resources Subcommittee on Federal Lands, said last week that the GOP majority's objectives for federal land management include restoring "the federal government as a good neighbor to those communities directly impacted by the public lands" (E&E Daily, April 6). The "good neighbor" aspect is one of the main points of emphasis directed at BLM leadership in the Key Messages document. "The BLM strives to be a good neighbor in the communities we serve, where we provide opportunities for economic growth with space for traditional uses such as ranching, mining, logging, and energy development as well as hunting and fishing," it says. "Public lands provide valuable, tangible goods, and materials we rely on and use every day to heat our homes, build our roads, and feed our families," it adds.